With the release of the posthumous Streetcore, Joe Strummer fans have another bittersweet reminder of just what was lost last year when the 50-year-old Clash legend died from an undiagnosed congenital heart condition. As the bull’s-eye on stage and off for the incendiary Clash, and then as the helmsman of the up-and-coming Mescaleros, Strummer was an electrifying presence—one of rock’s greatest front men. At age 50, he was still the jackhammer-legged, jive-talking street commando and beat prophet of justice whose performances were more exorcism than entertainment. After nearly a decade of relative silence, Strummer was again the leader of a band that mattered. In the midst of recording the group’s third record, Streetcore, Strummer and the Mescaleros—Martin Slattery (keys, guitars, sax), Scott Shields (guitar), Simon Stafford (bass) and Luke Bullen (drums)—seemed poised to recruit legions of converts when the singer suddenly passed away. 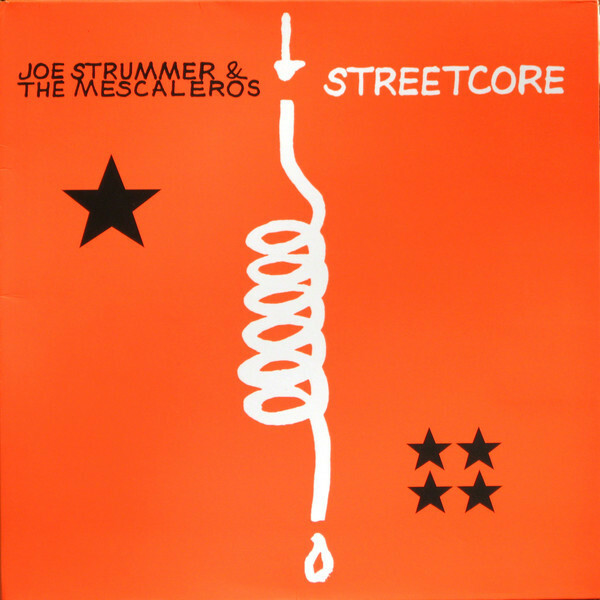 Streetcore may not be the finished product the Mescaleros intended, but the best cuts of Strummer’s second go-round reside here. From the reggae-tinged, foot-stomping album opener (and first single), “Coma Girl,” to the stark, elegiac beauty of the acoustic covers (Bob Marley’s “Redemption Song” and the Bobby Charles classic, “Before I Grow Old,” renamed “Silver & Gold” here), Streetcore is—remarkably enough for such an established artist—a document of lost potential. That Strummer was poised to add more vocals to already finished instrumental tracks only adds to the loss. Excerpts from the BBC radio hour Strummer hosted have been integrated, dub-style, into the strongest of the unfinished tracks, “Midnight Jam,” a home-grown solution the dub-happy Strummer would have surely applauded. The 10 songs on Streetcore were culled from three separate recording sessions with the Mescaleros between tours in 2002. At another session in April of the same year, Strummer recorded the acoustic covers in producer Rick Rubin’s L.A. home, along with guitarist Smokey Hormel (Johnny Cash, Tom Waits, Beck) and keyboardist Benmont Tench (Tom Petty). Streetcore clocks in at just under 42 minutes. And though the heart wants this final testament to go on indefinitely, the mind knows brevity ends up working in the record’s favor. During his long career, Strummer’s main strength was also his Achilles heel—his unbridled enthusiasm for virtually any music with a fat back-beat and a racing pulse resulted in both era-defining invention and Icarus-like flame-outs. Strummer even gave the bird to punk’s conventions, pushing the genre far beyond its original mandate. On the flip side, that willingness to experiment convinced him everyone should share the same exuberance, when, in fact, many saw a triple album—the ambitious but directionless six-sided epic, Sandinista—as more of a chore than a joy. That all-inclusive enthusiasm was firmly intact when Strummer re-emerged from his musical hibernation in the late ’90s. It informed the Mescaleros’ first two records, Rock Art & the X-Ray Style and Global A Go Go, which combined Strummer’s original loves—old school rock and reggae—with new techno rhythms and world beats. In contrast, Streetcore, albeit unfinished, pruned a lot of the techno and world-beat influences that were center-stage on the first two records. Instead, the new record focuses on the amalgamation of rock and reggae The Clash invented, for Strummer was as comfortable with his syncopated ‘cheese grater against the grain’ style as he was rocking in straight 4/4. Throw in a dash of country (the stark and portentous “Long Shadow”) and the result is Streetcore’s more organic, heart-felt sound. But the most affecting song is the relatively low-key “Burnin’ Streets.” With its loping, shout-along chorus of “London’s burning” (sonically worlds away from The Clash’s punk anthem of the same title), it harkens back through a prism of hard-won personal and historical wisdom to the days of punk insurgency, while simultaneously reminding all that the battle joined against injustice is never over. In Strummer, rock had a beacon of conscience. And with world events blindly bulldozing toward another fundamental clash, Strummer’s voice might once again have rung out like a clarion call of warning, providing comfort for the oppressed and frightened. Normally, the pain associated with death and bereavement will, with time, dilute into wistful absence and soft-focus remembrances. But this loss may not go gentle into that good night, and with Streetcore, it’s clear Strummer never planned to either.